Not everyone uses an iPhone or an iPad or an Android device. Some people use the Apple iPod which is specially designed for music mostly. Like other devices, it also supports Spotify music streaming service and the Spotify app can be downloaded using the same process used in downloading other iOS apps. Simply go to the Apple App Store on your iPod and download spotify music app to enjoy the music streaming service. It also has a Spotify radio in it. It allows users to choose from free or paid subscription. The premium subscription has more features than the free subscription. For a monthly fee of only $9.99 you can enjoy music from your iPod with unlimited features. Note that the program is running two versions, so make sure you select the appropriate choice for your computer(Windows & Mac). Both are similar, so we will demonstrate a sample using the version that is specifically for Windows. Note: There will show different screenshot when download music and downlaod playlist. 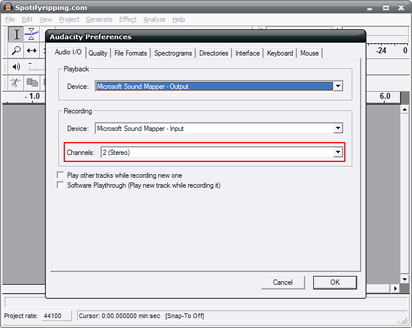 Open iTunes on your PC or Mac, and connect your iPod with your computer. Click on the small symbol of your device on the right hand corner of iTunes. Click on music on the left hand side of iTunes. Check the picture below. Tick the Sync Music checkbox. 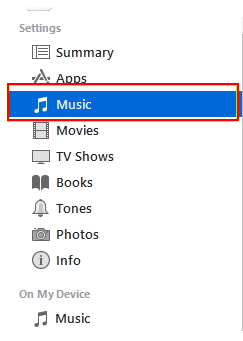 You can select the music you want to sync if you don’t want to sync the entire library by selecting "Selected playlists, artists, albums and genres" and the choosing desired the playlists or artists or albums or genres. Go to the bottom of your iTunes and click on Sync to sync the entire library or selected music to your iPod or iPod Nano or iPod Shuffle. First of all you need to download or record the songs from Spotify to your iTunes library and for this refer to guide of part 1 or part 2. Step 2. Find the songs in the "Recorded"
Now the songs that were streamed from Spotify to iTunes will be visible under “Recorded” list at left side of the menu. Now connect your iOS device (iPhone/iPad/iPod) to which you wish to transfer the music track. One end of the cable is connected to the iOS device while the other end to the USB port of the PC. Now take the iPod as an example. Once successful connection, the iPod will appear under the "Device" section of iMusic homes page as screenshot. Step 4. 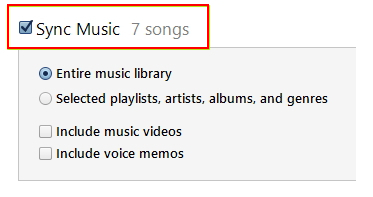 Right click "iTunes Library"
Now the songs that were streamed from Spotify to iTunes will be visible under "iTunes Library" list as screenshot. Select the songs which you want to transfer to iPod. After selecting the songs, just right click the songs and click "Add to" , then select "admin's iPod". The songs will now get transferred. 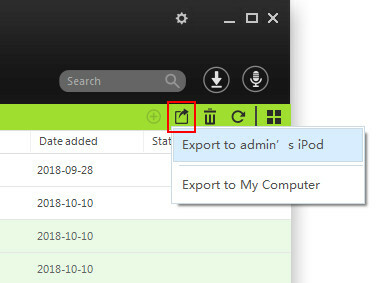 You can also go to the top right menu bar and select "Export" icon as screenshot that will open a drop down list and from this list select "Export to admin's iPod". Transferring music just got a lot easier and faster with iMusic. Users can transfer music between their phones and their friend’s phone whether it is iPhone to Android or iPhone to iPhone or Android to Android. A simple step by step procedure to transfer music is shown below. 1. You can transfer music from your device to your iTunes library without losing any of your music. Even with the restrictions available on the iOS, iMusic lets you transfer music from your device to your iTunes library. This feature is not common anywhere and that is one of the things that make iMusic unique software. 2. Users can use iTunes with Android.Yes, iTunes with android. The iMusic breaks the barrier and lets you use your android device with iTunes. 3. It allows you to clean your music library. You can organize your music library by using iMusic to delete duplicate files, unavailable or missing tracks, etc. It also adds music tags and album cover to your music and albums. 4. Download from YouTube, Spotify Sound Cloud, and other music streaming services / video sites. You can download videos from YouTube, Vimeo, etc from within iMusic. You can also download music from Sound Cloud and other online music sites right inside of iMusic. 5.You can download videos from YouTube, Vimeo, etc from within iMusic. You can also download music from Sound Cloud and other online music sites right inside of iMusic.You never have to worry about a particular music format not playing on your device because the iMusic software allows you to convert any music to a format that will work on your device. 6. Back up your music library without any hassle. You also have access to back up and restore your music library whenever you want. Download hottest music and playlists from Spotify for free. Download music from over 3000 music sites by copying and pasting the URLs. Get music covers, album name and music tags, or fix ID3 tag automatically. 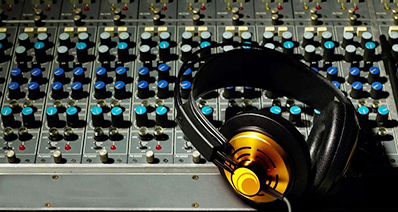 Record songs from thousands of radio stations, music and video sharing sites. 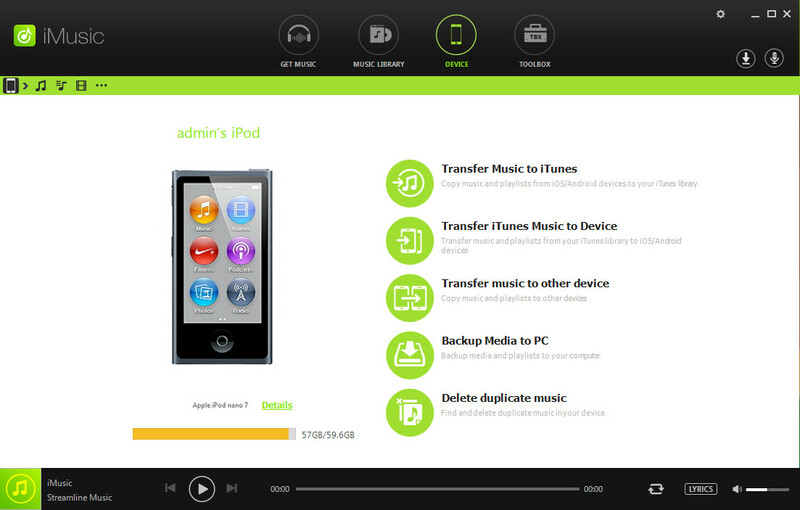 Transfer music between iPhone, iPod, Android phone, iPad, Mac/PC and iTunes Library freely. Backup, repair, rebuild iTunes Library easily even on Windows PC.